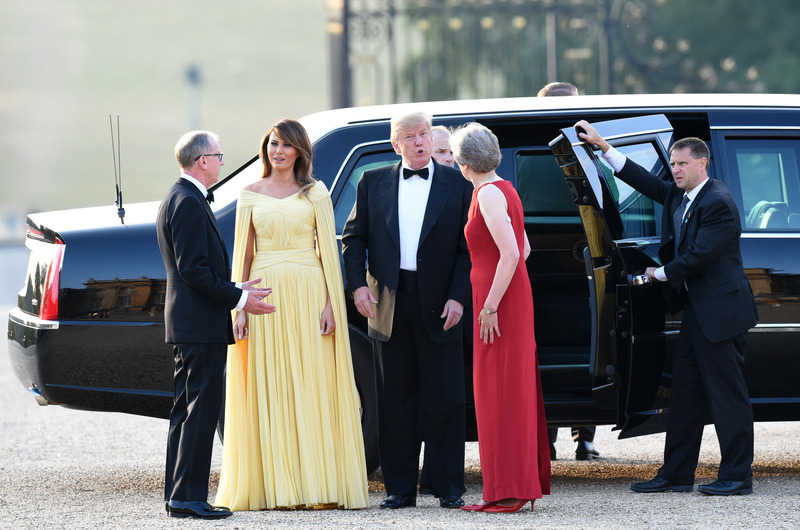 Melania Trump looked straight of a fairytale on Thursday night at a state dinner at Blenheim Palace in Oxfordshire, England. FLOTUS donned a flowing, gold dress with a cape that flowed behind it. The J.Mendel gown featured ruching in several different directions to give the look of subtle pleats and had a boatneck style neckline. She wore her hair down in soft curls and a deep side part. 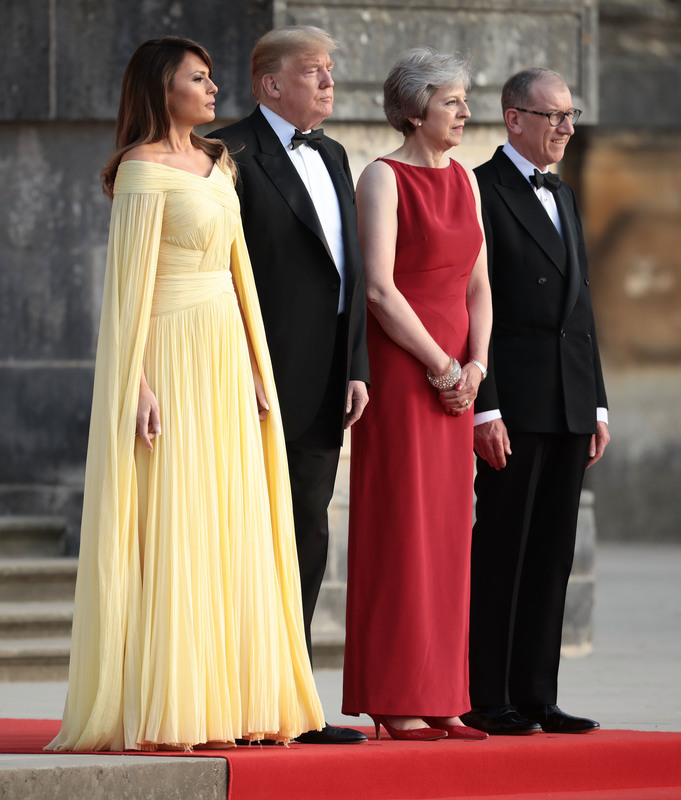 Had she worn her hair up, the First Lady would have looked quite similar to Belle from “Beauty and the Beast.” Her husband President Donald Trump wore a classic tux to their dinner with British Prime Minster Theresa May and her husband Philip May. What do you think of the golden gown?